Since freshman year of high school, I have been compiling a list of my top ten, all time pet peeves. I have honed it and edited it, deleting things, adding tid bits and just changing the order. And finally, my master piece is complete. I now have a good feel for the things that annoy me the very most in life. These are random but they are all backed up with what, I would like to think, is fairly sound logic. This is a culmination of my life truths. All that I hold dear. My Magnum opus if you will. 10) When someone has 141 mutual friends with you on facebook and they automatically assume that they know you.– ‘Nuff said. 9) People who make the assumption that they are the only important thing in your life- I have had this happen a few time with friends but that is not the target of this accusation. This extends to societal structures, from classes, to Student Government, to the darn youth ministry that you are forced to attend on Wednesday nights. Everyone is under the impression that they are your only obligation. Meanwhile, you are balancing 20 credit hours, relationships, check books, internships and church bakes sales. I see this a lot with teachers when out of thin air you just so happen to need to write a fifteen page paper the day before taking a test. 8) Religious persecution from atheist- Atheist have this view of the world that anyone who feels strongly about their beliefs will automatically attack them. I don’t give a flying squirrel’s tail what atheist believe in but somehow they are mega concerned with what I believe in as though my love of Jesus Christ will somehow inadvertently rub off on them. If you do not believe in God, then please explain to me why you spend more time thinking about him and his existence then most Christians? 7) Inbreeding of Republicans- From living in the south, I have learned how people value republicanism. 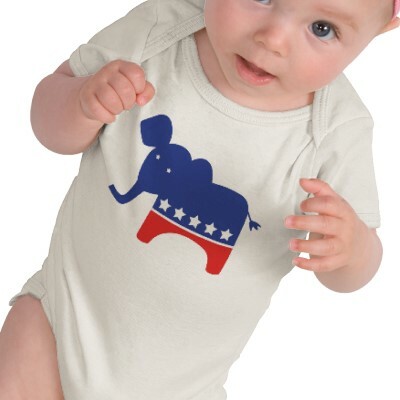 Unlike lots of African Americans and inner city natives, I believe in quite a few of the policies of republicanism and stand by them as if I came up with the idea myself. But when you meet people who are republican solely based off of the fact that their parents are or because they know no better, then you have a problem. For the most part, they tend to associate ignorance with democrats who are “idealistic” and “naive” because of their progressive ideas. But the a lot of the ideas they themselves hold true advance no one but themselves. Who’s holding back the nation now. Republicans also have this notion that Obama should be able magically fix eight years worth of Republican damage. There are so many nay sayers who are rooting for him to fail. WHY?! If he fails, that means we as a nation fail. He is representing us and a people and his downfall affects us. Obama inherited this mess. He didn’t create it and just because his ideas are not your ideas do not by any means make them stupid. Usually these people are the most mediocre of the mediocre and have complaints because a school “took that black kid” instead of them. First off, you had a 400 year head start, so pipe down. Second, they aren’t even actually aware of how affirmative action works. They are not just selecting a black kid over you. It’s more of a tie breaker and it does not just apply to blacks, it applies to minorities at large. If you are an under represented Caucasian and you grew up in the inner city, guess what? You have a scholarship coming your way. The easiest way to solve this is to stop being mediocre. Instead of wasting your time griping, how about you get to studying and charity joining. 5) Round-abouts- Yes, traffic round-abouts. People in the south do not need them. Because people down here get their license around age 16 most times, their brain’s frontal association, which controls judgment, is not fully developed. So how can you make life changing, split second decisions if you brain isn’t fully developed. While operating what is actually heavy machinery. Combine that with a habitual left turn and a 45 mph zone and you have a recipe for disaster. 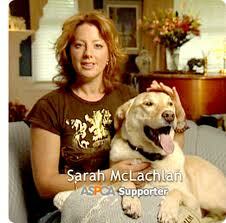 4) ASPCA commercials– I HATE sad Sarah Mclachlin songs. I always look up when those come on to see a stupid behind sad broke down kitty looking at me. And I hate the fact that people would rather give money to those sad kitties than to things that are relevant to humanity like orphaned children or malaria. News flash: before we ever felt the need to domesticate animals, they lived OUTSIDE! We must stop raising animals to the level of and beyond people. That is less than humane. And by owning pets, you do more damage to them than there would have been if you left them in their natural habitats. That is cruel. 3) Pedophiles- Who has the free time to molest children? 2) People who hate Harry Potter- This has darn near nothing to do with Harry Potter although my obsession boarders on maniacal. More often than not, people who hate Harry Potter are either closed minded Christians or uptight adults. Harry Potter is the ultimate Christ figure and if people would just step outside of their super conservative box and try something for a change they would be able to see this. My parents are crazy Christians who are afraid to step out from behind the piano and see what’s going on. There is a constant fear of the unknown or anything that could be of the devil so much so that life itself is hindered by fear and cautious behavior. Christianity is not about being bound but freedom through Christ Jesus. So loosen up and stop being afraid that Harry is going to come out the pages. It’s just a work of fiction. Sheesh. 1) When it rains and my jeans get soggy at the bottom thereby causing my moccasins/flip flops/socks/flats/etc etc to be socking wet. Which in turn causes the squelch-squelch noise and odd moldy scents which ruins a very decent pair of pants and shoes over time. I know this is something very petty to be upset about but it has been my number one for years.